On "All Dat," which opens I.B. 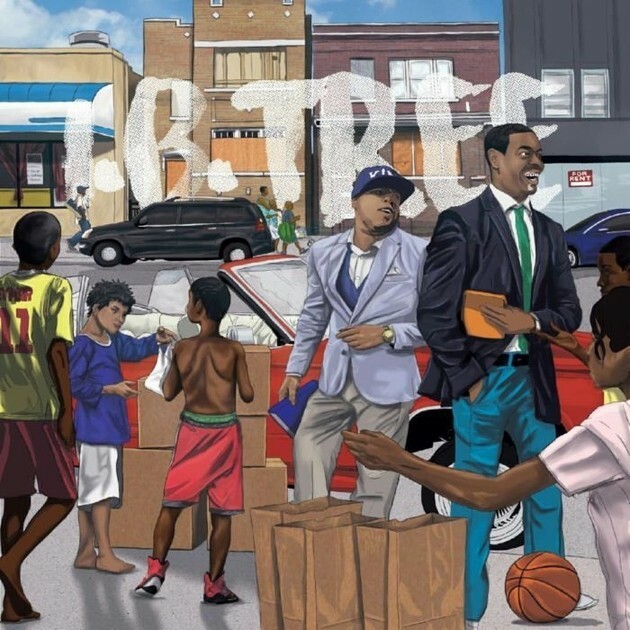 Tree, MC Tree's new collaborative EP with beat maker IBCLASSIC, the Chicago rapper acknowledges the effect of Chicago's gun violence on his work with solemn clarity: "I wrote way too many new verses / I can't remember, yet I remember the hearses." Tree is only in his early 30s, but he's always sounded ages older than he is—his expressive, scuffed vocals and world-weary perspective can give his lyrics tremendous weight and drama. "All Dat" rides on a minimal piano loop and wafting guitar melody. Those two lines accomplish much of what Tree is trying to do with the song as a whole: he brings you into his creative process, so that you can almost see the pages and pages of scribbled lyrics he's never used, and he sheds light on how people carry on when they're surrounded by death. Half of Chicago is exposed to the city's epidemic of homicides only through statistics, but with one quick punch to the gut, Tree evokes the psychological toll those shootings take on the people who have to live with them. Plus: Top-notch Chicago rapper Tree decisively ends his release drought, and Whitney trumpeter Will Miller drops the debut by his psychedelic soul-jazz band. When local rapper-producer Tree and Save Money member Brian Fresco team up the results are unsurprisingly great. Chicago rapper Vic Spencer is an open book on "Know You," one of the best songs on his new Tree-produced EP. New Deal Crew rapper Chris Crack does great work with "soul trap" originator Tree, who produced his entire new EP. A new crowd-funding site called Dream Collabo set up a campaign to release a collaborative seven-inch by the local MC-producer and Seattle's Blue Sky Black Death—the project also represents the new site's appeal. The local rapper-producer just dropped a doozy through Scion AV, and one of the seven songs sets a pretty high bar for rap in 2014.